Many tinnitus patients benefit from wearing hearing aids. Tinnitus comes from the Latin word tinnire (to ring). Doctors define tinnitus as the perception of sounds for which there is no external source. Many people describe tinnitus as a ringing noise, while to others it sounds like humming, buzzing, hissing, or whistling. Regardless of description, tinnitus is a symptom of an impairment of the auditory processing system. 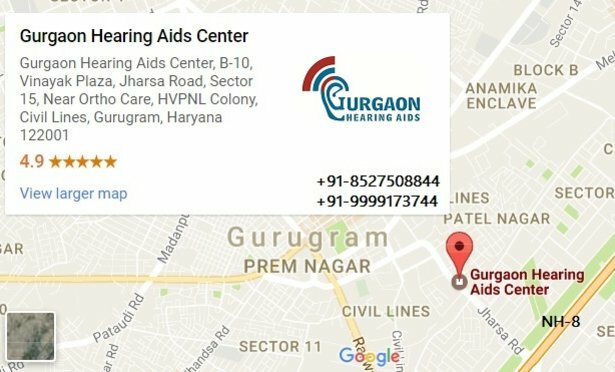 What causes ringing in the ears? The exact mechanism that causes buzzing or ringing in ears for some people has yet to be discovered. The best known contributing factor is noise exposure, especially to sounds reaching 85 decibels (dB) or higher. A single gunshot crack can leave some people with permanent tinnitus, as can repeated exposure to loud rock music over time. Taking certain medications known to cause damage to the delicate hair cells of the inner ear may also be a factor. Signia hearing aids are tiny technological marvels. They not only amplify sounds and improve hearing, they also provide a range of solutions to alleviate the effects of tinnitus. While tinnitus is as varied as its causes, it can be grouped into tonal and non-tonal tinnitus. Tonal tinnitus is more common and describes the perception of a near-continuous sound or overlapping sounds with a well-defined frequency, e. g. whistling, ringing, buzzing. Non-tonal forms of tinnitus include humming, clicking, crackling and rumbling. While there is currently no cure for tinnitus, there are effective methods of achieving comfort and relief. Some of our hearing aids — Ace, Pure, Carat, Aquaris, Nitro, Insio and Orion — come with a tinnitus therapy feature that can function as an independent sound generator or in a mixed mode using both the hearing aid microphones and the sound generator. Your hearing care professional can help you determine the type of therapy feature that is right for you. It’s the people around us who shape our lives. They share secrets, laugh, talk, and connect us to the world. Orion™ 2 is the perfect partner to make sure you don’t miss a single moment. All models are great partners to accompany you wherever you go, and provide you with a discreet listening experience. No matter how small their size, they are full of features and options that tailor sound to match your personal hearing needs and preferences. More than that, all Orion 2 ITEs can be controlled wirelessly. For example, using audio streamers, you can receive calls from your mobile phone directly into your ears to understand every word clearly. Or discover how easy it is to change your hearing programs or volume with useful apps. No matter how quickly your hearing situation changes, Orion 2 lets you hear the way you prefer. Orion 2 custom hearing aids offer individual, comfortable hearing. Insio™ customs are more powerful than ever before thanks to binax! Now they are available for patients with severe to profound hearing loss. A combination of higher amplification, smaller design, and wireless functionality makes Insio little in size, but big in performance. Insio binax provides amplification for people with severe to profound hearing loss. Its astounding power line of in-the-canal (ITC) and CIC models contains enough amplification to be almost as strong as our super powered behind-the-ear (BTE) hearing aids. Yet due to smart construction, these models are equipped with tiny housings. This incredible combination of more power and smaller size allows for a fitting rate almost twice as high than with traditional power models among wearers with severe to profound hearing loss. Getting the better of tinnitus. Tinnitus can be distracting and annoying. Insio’s optional tinnitus therapy signals can help provide relief by emitting a personalized therapy signal to reduce the annoyance of tinnitus and return listening comfort and serenity. Insio models with two directional microphones—ITEs and ITCs—are so advanced that wearers can understand speech in demanding environments even better than those with normal hearing. Discretion meets a new dimension of hearing. 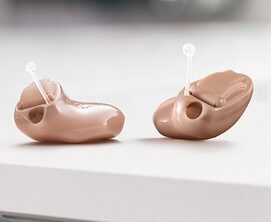 So small that they are barely noticeable behind your ear, and available in a range of natural colors to match a variety of hair and skin tones, new Pure® hearing aids blend in perfectly. Wear them with confidence and you won’t miss out on anything going on around you again. Pure offers an outstanding binaural hearing experience, sophisticated features, and elegant design. The receiver sits directly in your ear canal and is just right for people with moderate to severe hearing loss. Although Pure is small, it provides exceptional sound quality and contains more features than any other hearing aid its size. It also boasts the industry’s lowest battery consumption, so you can enjoy the best listening experience all the time without concerns about battery life. A world’s first — enjoy better than normal hearing in demanding situations. Pure is equipped with the latest version of BestSound™ Technology, an advancement considered a complete revolution in audiological engineering. Two independent clinical studies have stated you may even be able to hear better than people with normal hearing in certain difficult listening situations, like restaurants and cocktail parties. * Pure delivers a perfect balance of rich, natural sound quality and audibility. 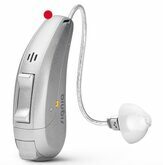 This advanced technology even enables the hearing aids to suppress wind noise, a common complaint among wearers. To localize sound sources, maintain spatial orientation, and understand speech better, our brain utilizes information from both ears. This is especially helpful in noisy, challenging listening situations. Inspired by the advantages of hearing with two ears (binaural hearing), Pure’s cutting-edge technology delivers the most natural listening experience possible. The new Ace hearing aid. Now more discreet than ever. Ace™ is our tiniest receiver-in-canal hearing aid, offering the utmost discretion and a superb listening experience. Now you can savor every moment with complete confidence. The discreet Ace’s receiver sits directly in your ear canal, enabling a high level of amplification in an ultra-tiny housing. The discreet duo for crystal-clear sound and convenient control. You can use the new touchControl™ App to confidently and discreetly operate Ace with your Android™ or iOS smartphone. While everyone thinks you’re simply sending a text you are really making a hearing aid adjustment! Although Ace is tiny, it is packed with many sophisticated features. It is also resistant to moisture, sweat, dust and dirt according to IP67* standards. Ace is equipped with the latest version of BestSound™ Technology for the most natural hearing. It’s a complete revolution in audiological engineering that delivers a perfect balance of rich, natural sound quality and audibility. You might even forget that you’re wearing hearing aids! Ace is an optimal solution for new and experienced wearers. Tiny and discreet in appearance, its enhanced BestSound Technology tailors the sound experience to your exact preferences right from the start. The result? You don’t have to choose between discretion and functionality anymore ― you can have both. Wherever you are, whatever you do, Ace lets you enjoy the sound of life. Signia hearing aids offer three different strategies against tinnitus. Static noise tinnitus therapy and ocean wave tinnitus therapy cover up disturbing tinnitus sounds with individually tuned therapy signals that divert attention away from the tinnitus, thereby reducing its impact. As a result, your patients can relax and concentrate on what they want to hear. Our new Notch Therapy, available exclusively in Signia hearing aids, is proven to reduce the annoyance of tonal tinnitus. Static noise tinnitus therapy signals. Soft and gentle sounds that distract from the annoyance of tinnitus. Signia hearing aids feature a tinnitus therapy feature that generates additional sound in the form of a soft therapy signal. This effectively distracts wearers from the tinnitus, helping them to relax and enjoy life. In addition to a range of preset signals, the therapy signals can be customized to specific needs. Static noise therapy signals use a form of sound that mixes in with the tinnitus sounds and distracts from it. Signia hearing aids offer five different types of signal. You can help your patients choose the most comfortable solution. Configure the static signals Pink, White, Speech, High Tone, or Brownian freely in Connexx® and shape them individually to meet the specific needs of your patients. 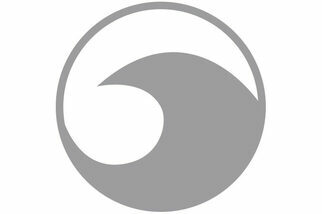 Ocean wave tinnitus therapy signals. What could be more relaxing than the sound of a seashore? Inspired by the tranquil sound of the sea lapping against the shore, ocean wave therapy signals replicate the relaxing feeling of being on a beach. 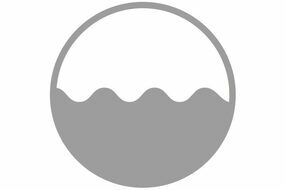 Ocean wave therapy signals mimic the sound of the sea to provide a positive, soothing, and stress-relieving listening experience. In Connexx you can choose from four fluctuating signals: Rocky Beach, Boulder Beach, Pebble Beach, or Paradise Beach. The new Paradise Beach signal was developed together with tinnitus expert Dr. Pawel Jastreboff. 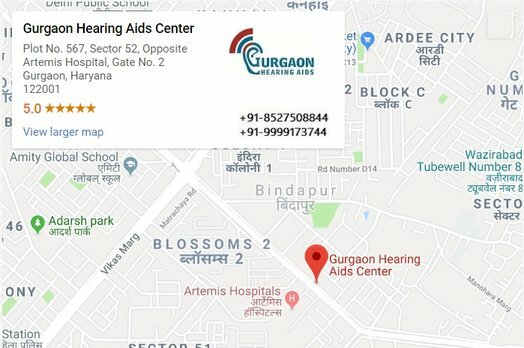 World’s first: Tinnitus Notch Therapy. Removing the sounds of tinnitus for a truly peaceful experience. Notch Therapy is a well-researched tinnitus therapy approach that’s been shown to be especially effective for people who experience tonal tinnitus, the most common type. When tonal tinnitus is accompanied by hearing loss, Notch Therapy is clinically proven to reduce the annoyance of tinnitus*. By permanently relegating tinnitus sounds into the background over a long period, over-stimulation is reduced and the brain ‘learns’ to stop paying attention to the tinnitus sounds, so it’s no longer perceived as disturbing. Unlike the static noise and ocean wave approaches, both of which introduce an additional therapy sound, Notch Therapy treats tinnitus inaudibly and unobtrusively.